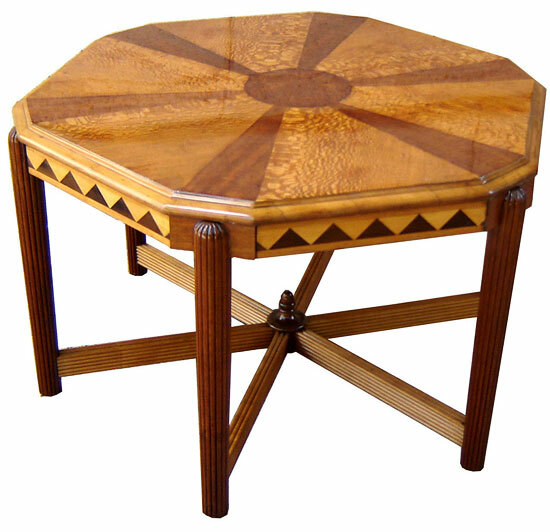 This American art deco six sided coffee table is from the early 1930’s and displays a variety of the woodworker’s techniques. The top features six “pie slices” of lace wood veneer alternating with six slices of rosewood veneer, all emanating from a center circle of rosewood veneer. The apron has triangles of ebony inlaid on sycamore. 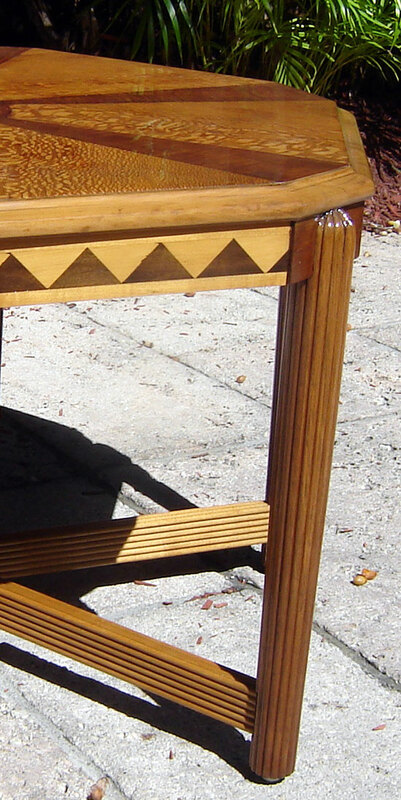 The six reeded tapering legs are connected by reeded stretchers. 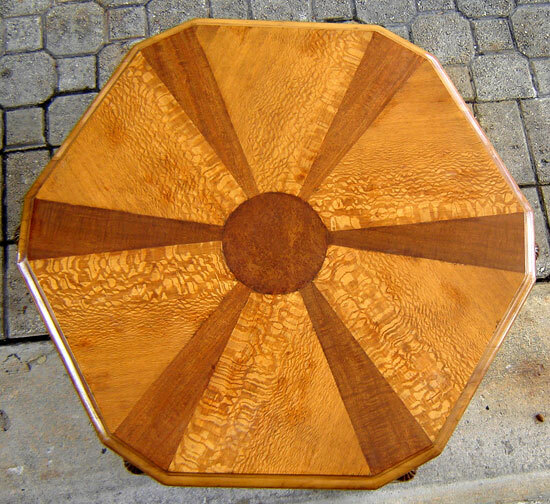 The table is 31” in diameter and is 19” high. Refinished in clear lacquer to showcase the wood’s beauty, the table is sure to be the centerpiece of any room.